This comprehensive guide to the settled status application process includes screenshots of the app and website, a link to a video walk through, case examples and looks at citizenship options for parents and children. Not sure how the EU Settlement Scheme works, or how to use the app? 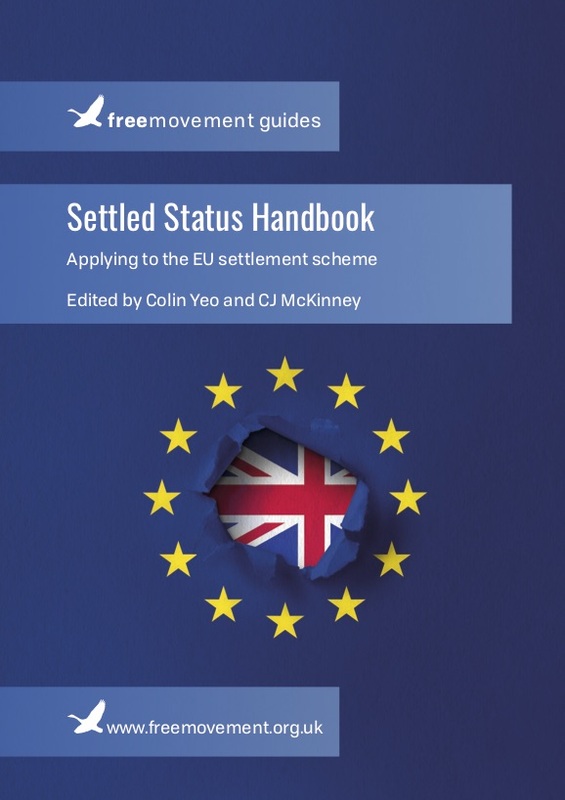 This comprehensive but accessible ebook guides you through the settled status application process, helping you to check your eligibility and that of your family members, making sure you have the right documents lined up and avoiding potential pitfalls. We have also included information on naturalisation for adults and eligibility for/routes to British citizenship for children. Examples and case studies are used throughout to illustrate complex points. Although well-written, IMHO there is one point where the guide could be MUCH more helpful. On page 21 it says the app “only works on some Android phones” and not “on older Android devices”. Folk like me who don’t change their phone every year don’t keep up with this kind of thing. I discovered the app was not compatible with my phone; okay, it’s at least fie years old. HOWEVER I then went an bought another BRAND NEW Android phone, which I didn’t need except to download this one app – and then found this too was ‘incompatible’. I fought for hours to try to update the OS, with no success. I have discovered the current version of Android – at least last weekend – is apparently 9.0. SO, if the whizzkids who built this app designed it to work only with v9.0, WE SHOULD BE TOLD! Or if it works with anything else, it would be great to know so folk like me don’t waste money and time. Excellent booklet. Concise and helpful. Very useful reference and well presented. A valuable and very useful distillation of information which has often seemed contradictory and perhaps itself is not yet fully settled. I find several non-EEA EU family members as CAB clients who have been abandoned by separation or domestic violence but who have a good record of residence and employment. It would be good to have some information on how such cases are handled, if and when this becomes available.